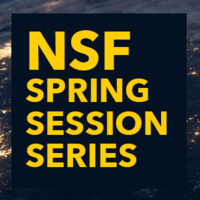 All faculty and researchers are invited to join this brown-bag session on changes to the National Science Foundation’s Proposal & Award Policies & Procedures Guide at noon on Tuesday (Feb. 12) in MUB Ballroom B3. Peter Larsen from the research development office will provide an overview of the recent changes and facilitate discussion. Feel free to bring your lunch with you.